January, 2013.. Dark, cold January! Well there is hope. #Podgressive EP038 is soon here. We have been in Finland and in Norway. This time it’s time to listen to what our neighbors in Denmark has to give us. We have a couple of really talented artists that I will get to shortly but let’s turn back the time a little bit. Actually 4 years from now! I think it was in December. Both me and Kambiz did’nt have so many gigs at the moment and I was, as I always do with my nearest artist friends, try to come up with new cool ideas. And so it was. Some how we came up with this idea. Let’s build up our names with a podcast and let’s make it the best independent edm-show ever! Here we are, 4 years later, with aprox. 4000 listeners each and every month from around the frekkin’ globe! I don’t think none of us really believed that this could get so big. Or hmm, big compared to Armin.. NO! But, for us local Swedish dj’s It’s a huge thing. Of course there has been a lot of work and loss of energy but it has been so worth it! So, as I keep saying. There would’nt be any Podgressive without listeners. So big up to you all and keep up with the feedback and let’s continue spreading the word! We are trying our best to make this show and bejbi a better experience for you. I wish we could clone ourselves but that aint possible. We have so many good ideas but most of them are too big to make in short notice. If you have any good ideas for the show or bejbi, don’t hesitate. 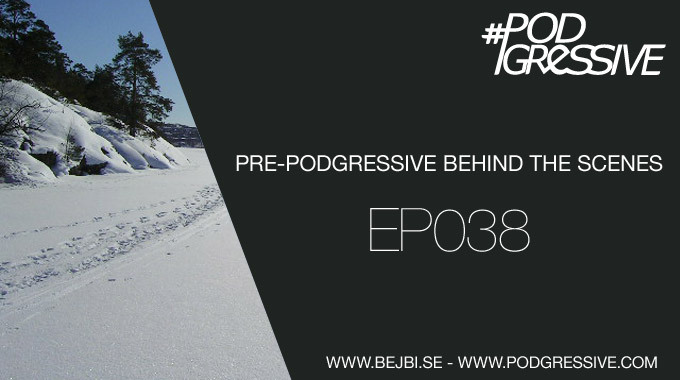 Contact us at info@podgressive.com or patric@bejbi.se. 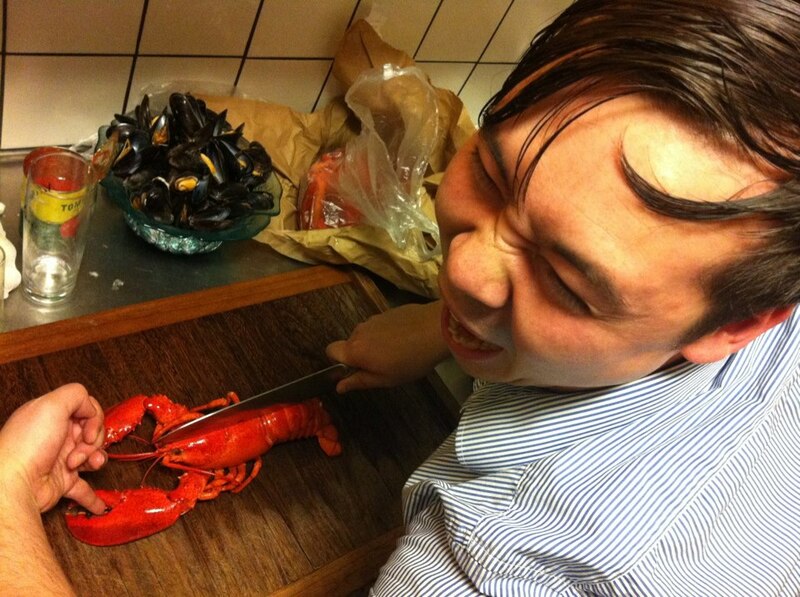 This year started with a big explosion of champagne, my last cigarette, fantastic seafood and great company! The first week was like a big hangover but then I started to grab on to some music again. I made a couple of mash-ups and got a nice gig with my mates Steve Sundheden, JP Bates and Jay van Kay. All three very talented by the decks. The gig is on the 26th January (Make sure to drop by early. My playtime is 22.00-23.30). The day after my release of this months podcast. And somewhere there it got me thinking of how many tracks I will need to get for the end of this month. I don’t want to release a podcast and play the same tunes the day after and I need to keep up with the quality. So, there has been many hours searching for the right material but I think I’m on to some real bangers now! As I mentioned, this is the fourth year anniversary and we have some phat ”ch00ns” for you. From Denmark, we present Daniel Kandi and Kris O Neil!! As you see, it’s a heavy line up and pretty much melodic tunes coming up. I hope that you like it! Well you know me right.. Starting up with some housyer stuff and there is some really good releases this month. Climbing towards progressive that I found on the MINIMAL section at Beatport.. What’s wrong with the categories!? Since when was progressive house minimal and progressive house SHM, Avicii, Guetta etc? Okay, what ever.. Moving on! Then I got hold to some awesome Techno beats mainly from the Drumcode label and some great demos from my friends that have come a long way since they started to collaborate. We will take a short break with our interviews this month but I think we have something really tasty for you for the February episode. So, 25th January around 12:00 CET at #Podgressive! Okay here we go again! My most played tunes and tracks that has made Stockholm a little bit warmer on January 2013! 1. My god, Techno as it’s best behaviour, hard and nasty! Turn it up! A fantastic video. Turn it up and just feel it! !